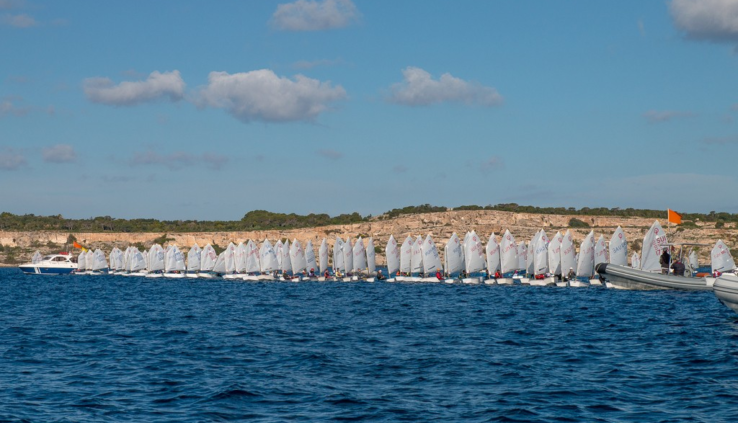 In Mellieha Bay in the West of Malta on Friday continued racing international regatta Euromed. For the Russian fleet, which appears here in the framework of OptiPro, the third day of competition was another test of strength. In light winds the juniors struggled to find his rhythm. It seems that the participants in Euromed this season will be remembered daily change of the wind and, as consequence, impossibility to use prepared templates. On the third day of competition, the area was again in captivity in light winds, so the distance was exhibited in the open sea, about an hour go from the beach Mellieha Bay, where the race village. Replaced the smooth water of the Bay where the race took place in the previous days, the sea came forward, and a palpable wave. Such conditions demanded good skills of the corps in the boat. A day earlier, on December 20, the results of five races, the fleet of senior athletes compete around 160 participants were divided into “gold” and “silver”. Eight Russian athletes were in the best group, while another 15 juniors continued to fight in the silver fleet. December 21, each of the fleet held three races. In the silver fleet Daniel Pepper three times finished in the top ten and with such enviable stability ranked second in the overall standings. Parishes in the three here recorded also Ivan Okhotnikov and athlete of the Academy sailing of the Yacht club of Saint-Petersburg Alice kodaneva. In the overall Alice is the seventh among women. In the gold fleet competition has increased significantly. In the first ten are athletes from six countries. Unfortunately, Russian is not among them. The second “black flag” for two days moved the “academic” Cyril Sumenkova from 15 th to 28-th line. Unofficial Russian championship was headed by Andrey Sotnikov, who in the first race of the day was the sixth. He is now in 21st place. In the standings Cadet “academic” Nikita Black is second (29th in the overall standings). Two parishes in the top ten helped “academic” Yegor Denisov, to rise to ninth place of the standings novice athletes competing in a separate fleet of 26 participants. The remaining five of his team-mates in this fleet are less stable. Today, December 22, there will be a final race Euromed 2018. The Russians still have a chance to influence the situation, however, the task will not be easy.